Hello Friends!! today I am participating in the Random Act of Kindness (RAK) Blog hop!! You are visiting Alejandra Gomez (Creating With Allie) in USA. I am showcasing the cards I have given as part of the Random Act of Kindness Group on Facebook. These are the cards I have made and send for the month of July!.. Thank you so much for stopping by today, please don't forget to visit all the demonstrators participating on this blog hop, I am sure you will get a lot of inspiration, also if you like this concept join our amazing Facebook group! and brighten the day of others by sending them your cards!! We all love getting a handmade card!! 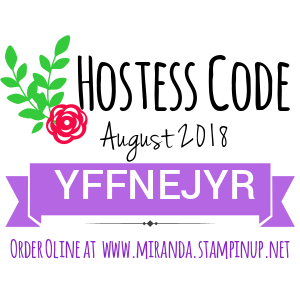 Here is the line up of the people participating on this blog hop! 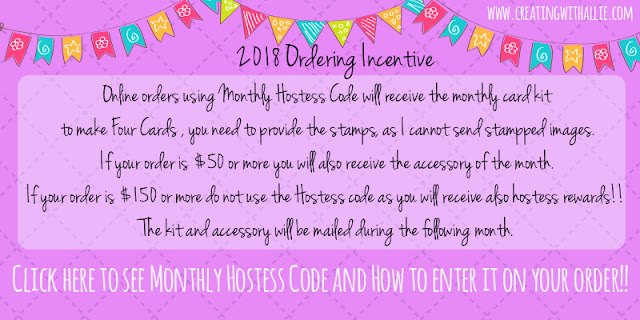 Don't forget about my ordering incentive in 2018! Alejandra, your Rooted in Nature cards are gorgeous. Really like the embossed leaves.